In this Immersion Series, experience various doorways to Meditation - simply, a method of experiencing awareness. Meditation is a journey from sound to silence, from movement to stillness. It is the food for our soul. Whenever you do something with awareness, it is meditation. It may be sitting with your eyes closed while observing your breath, but it can also be listening to birds sing or a mountain stream. As long as these activities are free from any other distraction, it is effective meditation. It leads us to a state of stillness or a state of consciousness when the mind is free of scattered thoughts. It is a powerful way to recharge our batteries and to calm our mind down. Meditation is a doorway to live a happy, healthy, and abundant life. Punnu’s interest in spirituality, meditation and healing formed in his early years as he was influenced by his father and other Indian masters. He has studied different healing modalities (Reiki, Pranic Healing, Crystal Healing, Chakra Balancing, Quantum Touch, Psychic Surgery, Oneness Deeksha Blessings, Spiritual Counselling, Shiatsu Anma and Swedish Kata Massage). He is a Grand Master in Reiki and has over 23 years of experience. He studied different traditions of Reiki with Grand Master Kandy Beth Brandt in Russia and with Dr. Kanta Nagpal in India over several years. He offers all healing modalities on a daily basis and teaches Reiki trainings (level I – Grand Master) on a regular basis. This series is for anyone who wishes to greatly improve calmness, relaxation, focus, concentration, joy and overall well being. You will get specific practices that help you connect and feel results you can use in your every day life. Is this series only about meditation? 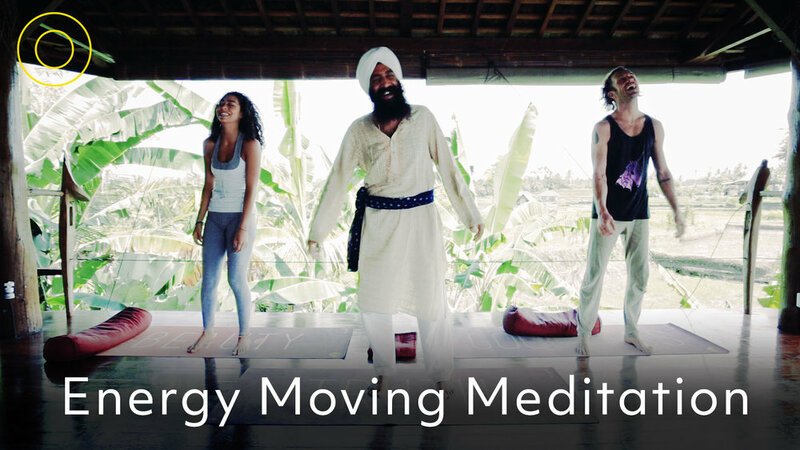 No, this course is about energy and connection, as well as breath, movement and meditation. It is a full complete practice that will help enhance your every day experience.